13. Rise, son of Huor! 09. Morgoth is upon us! Most people familiar with John Ronald Reuel Tolkien’s works (he was the author of ‘The Hobbit’ and ‘The Lord of the Rings’) are also familiar with his posthumous legacy shared with the world by his son and literary executor Christopher Tolkien. The story of ‘The Fall of Gondolin’ can be found therein, of which the first publication came about in ‘The Silmarillion’ – which was published in 1977 and most recently (2018) as a standalone story (and notes) simply as ‘The Fall of Gondolin’. Tolkien originally wrote the story (in its earliest form) as far back as 1917 containing hints of encounters he had as a soldier during the First World War just in the previous year. Composer Paul Corfield Godfrey was born in London in 1950 and after a period of residence in Ireland now lives in Wales. As a young boy Paul sung at his local church choir and performed with the school orchestra, playing oboe and timpani; he studied composition at various times with Alan Bush and David Wynne. His works, amongst many others, include four symphonies, several operas including ‘The Dialogues of Óisin and Saint Patric’ and ‘Arcturus’, both performed in Cardiff and elsewhere in South Wales; and a large body music inspired by the writings of renowned author JRR Tolkien. Other works have been performed in London and elsewhere throughout the world. His manuscript scores are lodged at the National Library of Wales, Aberystwyth. 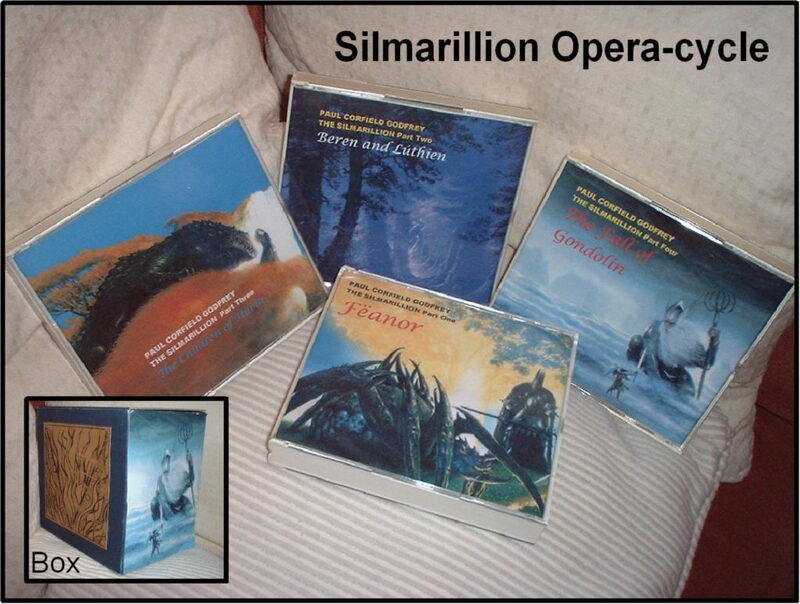 Over the course of the late 1980s and most of the 1990s he composed a cycle of four operas called ‘Epic scenes from The Silmarillion after the mythology of JRR Tolkien’. 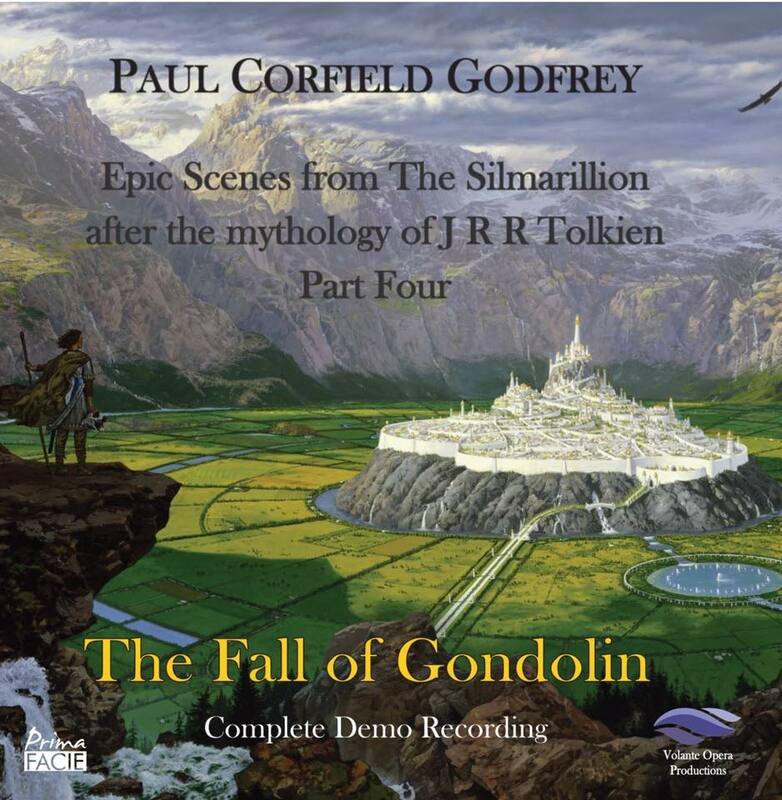 Its fourth part, The Fall of Gondolin, was recently (2018) published as a demo recording by Prima Facie Records. Each of the four operas based on these ‘epic scenes’ consists of three ‘triptychs’ (three-fold), a prologue and an epilogue. Each ‘triptych’ consists of three scenes. An earlier demo recording of the whole cycle was previously available and all the music and voices were performed by the composer on keyboards. 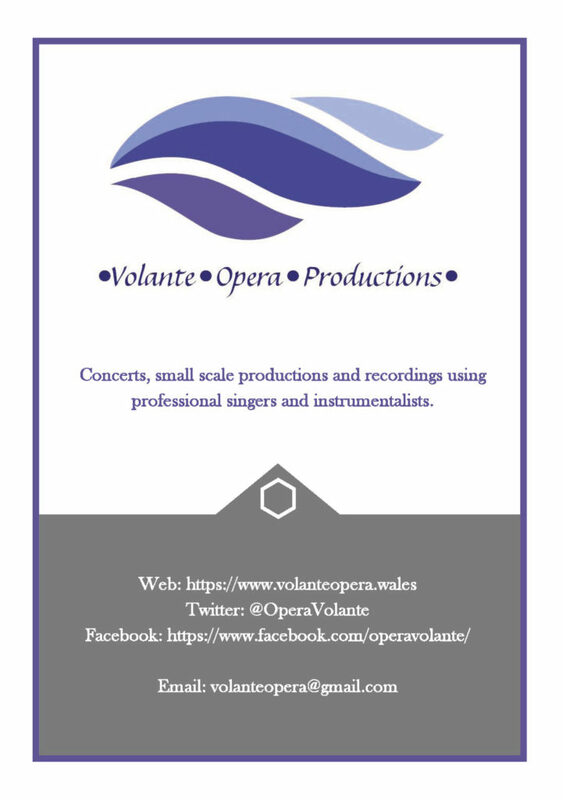 Volante Opera Productions is a group of enthusiastic performers who specialise in small performances and the creation of so-called guide vocals. Over the years they have raised quite a few pounds for various charities and performed in small local communities, bringing music and entertainment to schools and churches, the elderly, the demented and the impaired. The initiative was brought about in 1999 by baritone Julian Boyce. Most, if not all, are performers with Welsh National Opera. Recently they started recording projects in which they take ‘centre stage’. In short, the opera tells the story of the downfall of Gondolin and how it came to fall. It is the continuation of the whole of the story as is told in The Silmarillion and by the composer summarised in his four-part cycle. The hidden city of Gondolin was built by the aid of the Vala Ulmo and Turgon is its king. Aredhel, Turgon’s sister, leaves the city against his wishes upon her return, she brings her son Maeglin. The both of them are secretly followed by Maeglin’s father Ëol, a Dark Elf. Meanwhile Tuor, the son of the human hero Huor, is directed by Ulmo to warn Turgon of the pending doom. Tuor meets Voronwë (also by the hand of Ulmo) and together they travel to Gondolin. Turgon has a conflict with Ëol and condemns him to his doom, a death of his own choosing but his son will suffer the same fate. Turgon rejects the message of Ulmo given to him by Tuor. Tuor marries Idril, Turgon’s daughter, but Maeglin wants her for himself, eventually his jealousy leads Maeglin to betray the hidden city to Morgoth the enemy. A thing that stands out from the moment you put the demo onto your audio system is the sheer professionalism with which the singers do their respective parts; all are singers with Welsh National Opera and lent their voices voluntarily to the project by the way, and at times they allow themselves to show the fun they had creating this marvel. Even though the previous demo recording of the work was (in retrospect) very rudimentary it is amazing how close (musically speaking) the new demo recording, even with the changes the composer said he’d made while recording the new demo, stayed to the previous demo – a demo that was recorded by the composer whilst performing all the parts of his own music on various keyboards and later mixing it all together, a painstakingly precocious work of labour for which we have to recognize the composer’s efforts. But at least as painstakingly laborious would have been Simons Crosby Buttle’s (of Volante Opera Productions) work on the new demo recording. He had to transcribe the complete score for ‘The Fall of Gondolin’ in the (EastWest/QuantumLeap) software and provide the DAW (Digital Audio Workstation) with all the subtleties of a complete orchestral performance, from dynamics to performance techniques. I reckon his only relief was the fact that he didn’t had to teach the software to sing in Tolkien’s Elvish languages (which nowadays, with modern technology, is very well possible – as demonstrated by Arjan Kiel and Martin Romberg) as the voices used in this recording are real voices. 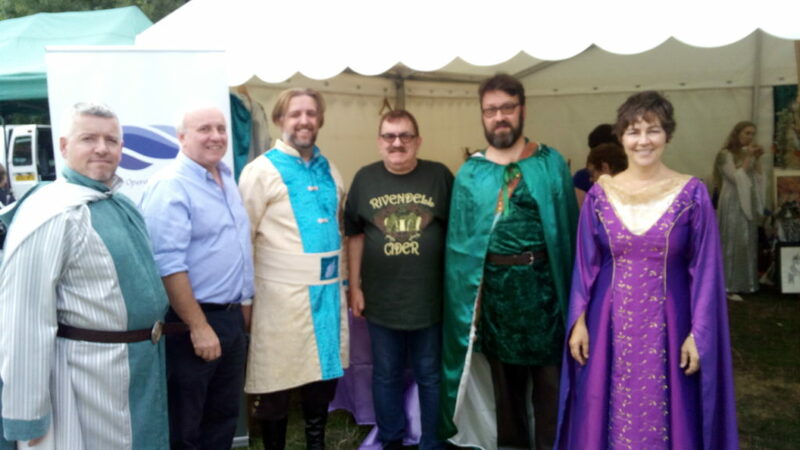 The composer (3rd from right) with members of the cast at Sarehole Mill (Birmingham, UK) at the Middle Earth Festival of August 2018. Those real voices are also the great strength of this recording; after hearing these voices in my head for many years, for the world only had the earlier keyboard recordings by the composer, it is amazing how this new demo recording is all one has ever dreamed of and so much more. I’m particularly fond of the opening of scene five (in the second triptych) ‘In a dim and perilous region…’ (better known perhaps as ‘The Horns of Ulmo’) in which (the human) Tuor (voice by Simon Crosby Buttle) tells (the Elf) Voronwë of his encounter with (the Vala) Ulmo. The opening chorus of the prologue sets a tone of mystery and marvel, especially if you consider the fact that the choir only has eight singers you come to realise the quality that this recording provides. Throughout the recording the choir never compromises and is most splendid in the final epilogue when true subtilty is required. Another choral highlight of this recording must, without question, be scene nine (a hymn to Ilúvatar) in which all the voices need to sing, both choir and soloists. The first solo voice we hear is the offstage voice of the Vala Ulmo (voiced by Martin Lloyd). The voice is deep and bright telling Turgon to go to Gondolin but to remain faithful to the Sea and the West. Ulmo returns one last time in the Second Triptych (scene four) as he makes his appearance before Tuor. Tuor describes the voice best when he tells Voronwë of it in scene five, as he says, ‘the deep-voiced echoing sea,’ even though much of the ‘sea’ comes from the orchestra. Turgon (voiced by George Newton-Fitzgerald) is solemn and majestic and provides a hint of sadness as he reluctantly allows his sister Aredhel on her way beyond the protection of his borders. This is slightly turned to hope and joy upon her return in scene three. 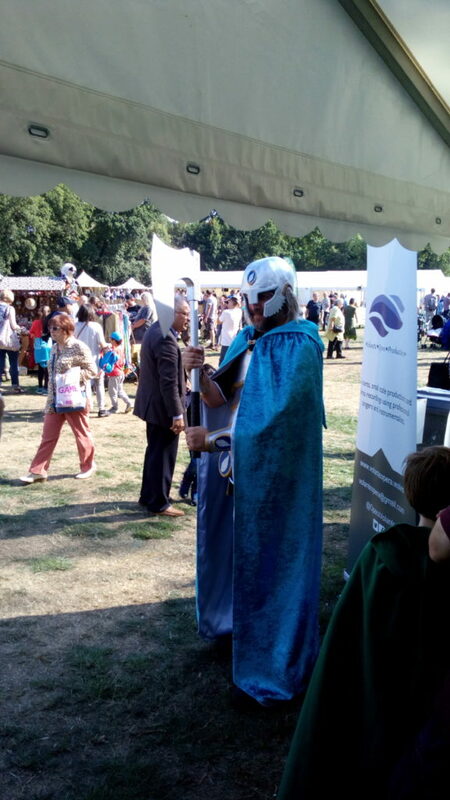 George Newton-Fitzgerald controls Turgon very well throughout the opera. Turgon’s panic, almost as if a frail old man, in scene nine as he sees his city on the brink of falling is wonderfully real and hints of the transition the character makes throughout the story (from a secured ruler in a happy time to a defeated old king in times of ruin and despair). Aredhel (voiced by Louise Ratcliffe) is a bit icy at times but I think that comes with the personality of the character. I mis the effect of her death, as I assume, she would have gasp for air, screamed or made some other sound. I name this because of the effect that is heard upon the death of both Eöl and Maeglin. Eöl, a Dark Elf, took Turgon’s sister Aredhel as his wife and she bore him a son Maeglin. Eöl (voiced by Julian Boyce) is first heard in scene two as he argues with his son. The initial opening phrase (“You are” is met with some anger but Eöl recovers soon and shows elegance and some majestic control in the continuation with perhaps even a hint of kindness in the melodic section of “and not of Gondolin”. Now one would expect Maeglin to word-battle his father, but instead the scene makes a small leap in time as Eöl leaves and walks into the darkness and Maeglin turns to his mother asking her to leave together in search for Gondolin. Maeglin (voiced by Stephen Wells) is a bright and deep voice. Eöl returns in scene three as he is brought before Turgon by Ecthelion (voiced by Philip Lloyd-Evans) and is ‘welcomed’ to Gondolin by Turgon (voiced by George Newton-Fitzgerald). Eöl refuses to stay and demands his son to leave with him. The melodies are beautifully controlled by Julian Boyce, the highlight for Eöl, as a listener, is the melody of the phrase “Yet if in my wife … as she sickened before”. The sheer cruel pleasure with which those words are uttered brings a musical dept to the character. And last, of Eöl, but not least, of Eöl, is the moment of his death. It is a little pun and shows the fun the cast had creating this album and it is not in the score (as far as I can tell from the vocal-piano reduction of the score that I have), but I can imagine any staged or filmed production of this opera would try and create an effect much like it. The screaming voice of Eöl as he falls even has a music to it and blends nicely with the orchestral dramatics. Tuor (voiced by Simon Crosby Buttle) is first heard in the second triptych (scene four) as Ulmo (voiced by Martin Lloyd) addresses him. The duet between them is one of the finest moments in the opera, well balanced voices and beautifully carried by the synthesized orchestra. Both singers demonstrate their control over the music. Simon Crosby Buttle really gets to demonstrate his talent with the subtle (if you will allow me a certain fanciness) ‘aria,’ called ‘The Horns of Ulmo,’ of scene five as he tells Voronwë of his meeting with Ulmo. Tuor is sitting bent over a campfire singing this powerful and emotional piece. For the singer it must really be difficult creating the dynamics that are needed, being seated I mean, but I imagine it also would be the highlight for the actor who voices Tuor. Personally, it is my favourite part of the opera. It cumulates various themes that reach a certain climax here. Voronwë (voiced by Julian Boyce, in his second role – as he was Eöl too) first appears halfway through scene four. Voronwë survived a shipwreck at sea and is brought to Tuor by the hand of the Lord of Waters (Ulmo) at the end of the Ulmo-Tuor duet. A little disoriented, Voronwë asks Tuor about the current state of affairs and Tuor’s personae. His voice is a light spark. Voronwë’s largest text is at the end of scene four as he tells Tuor how he survived the salty sea. There are many melodic leaps (up and down) in this part for the voice, a real challenge I figure which Julian Boyce manoeuvres very professionally and well controlled. Ecthelion (voiced by Philip Lloyd-Evans) is first introduced to us in scene three as he brings Eöl before Turgon. At the very end of scene five he holds two strangers on the road to Gondolin. They are Voronwë and Tuor. Ecthelion is the largest male support role with a key importance, from scene three one might figure it could be anyone leading Eöl before Turgon but as Ecthelion develops he becomes key in bringing Tuor before Turgon, striving between loyalty to the law and his King (Turgon) and Voronwë, his longtime friend. Not that the opera dwells on it but it is stated in the line ‘Why do you set me thus cruelly between the law and my friendship?’ Tuor, commanding the gate to open, however saves Ecthelion from this choice. Later Ecthelion proves his worth to his Lord by standing with him in a battle against all adds, ‘Here then will I make my stand, …’ (before the end of scene nine). This is also the moment Maeglin follows in his father’s wake and the doom of Turgon is fulfilled. Philip Lloyd-Evans voices a great Ecthelion. Hearing Morgoth’s voice (voiced by Laurence Cole) as if he devours the stage – which is such a great statement, even though in this part his vocal role is one of the, if not the, smallest vocal part(s) of this set (one line in scene eight), was a great delight. 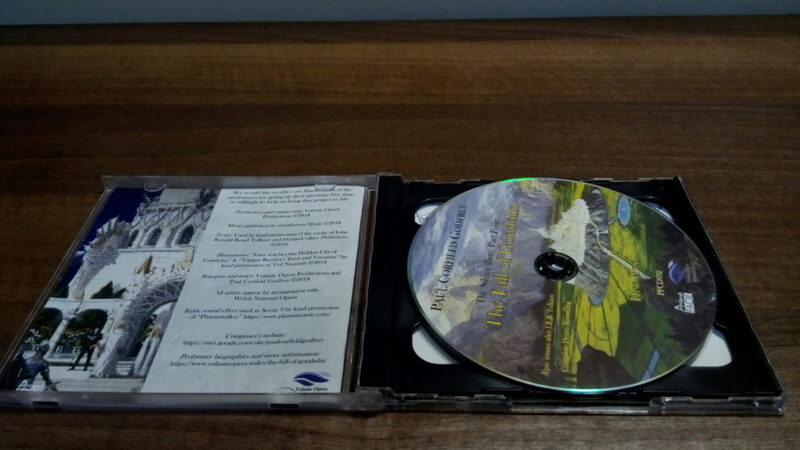 As much as I feel ‘The Horns of Ulmo’ are the highlight of the cycle, for a man’s voice, the climax for female voice is without doubt the climax of the epilogue (track 14, disk 2) ‘the light of the earth is ended and begun’. It is a difficult part as it demands great control of the voice for Idril (voiced by Anitra Blaxhall) not only by keeping the right tone and emotion but the chorus and the orchestra move away from Idril so she can’t really rely on their movements. Also, the words ‘is ended’ are the climax (at least to me) but right after that the narration moves forward, almost as a sign of life itself – because now something precious has perished something new took its place with ‘and begun’ and so we move on, and so does the music. It may not be the electronic-music-pioneers’ dream come true that electronics could replace the entire orchestra and still feel the same as a real orchestra, but the technology has come a long way. This recording stands on its own and I am not familiar with any other project that uses this technology to produce not one, but four evening-filling operas. The orchestra might be just that, electronic samples, but each and every instrument has a distinct sound of its own and is highly recognisable as such. Now and again the sound might reflect that of an organ, but that is much more due to the limitations of the software than of the striving of Mr. Buttle to get it right. A friend of mine called it a musical, though I disagree with him – it is too classical for that; I think what he meant was that the music is accessible. And for calling an end to any discussion over whether or not this is actually an opera, the composer prefers, despite my frequent use of the word ‘opera,’ the use of ‘epic scenes,’ and epic they are both in story and in music. This recording is breaking a lance for future productions. 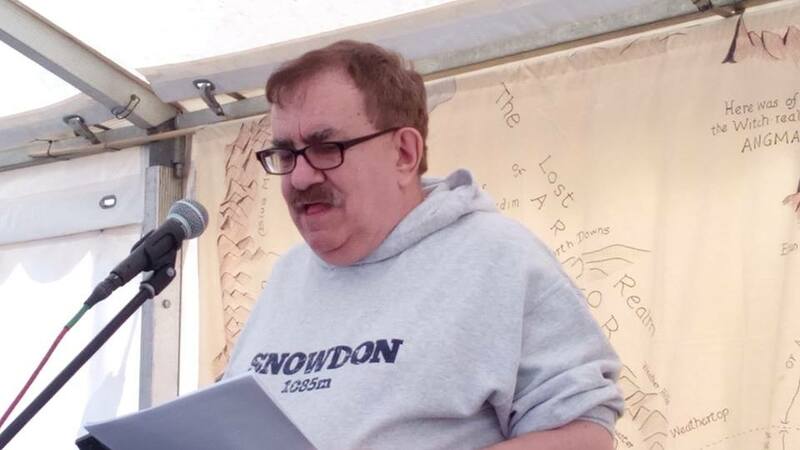 It shows performers don’t have to be afraid of the rights issue that comes along with the use of Tolkien’s texts if one takes a moment to arrange it in accordance with the wishes of the estate. It also shows that the music is accessible for a varied audience, whether they are experienced or unexperienced opera going folks or just readers of Tolkien works or perhaps would have no clue about Tolkien at all. It also shows the music is very well performable for both instrumentalists and vocalists. In the matter of staging (or perhaps even filming – not as bad the 2004 film production of A.L. 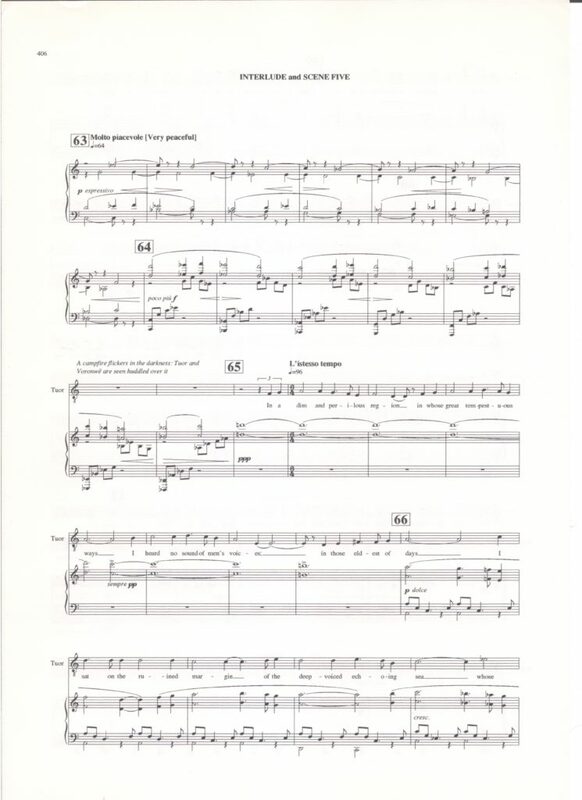 Webber’s Phantom of the Opera, I hope), I do not see too many problems and with modern techniques those can be solved (with 3D L.E.D. light stages, computer generated images (CGI), projections, trapdoors, sound effects, etc.) and perhaps it is a matter of ‘less is more’ if you see problems in staging these ‘epic scenes’. 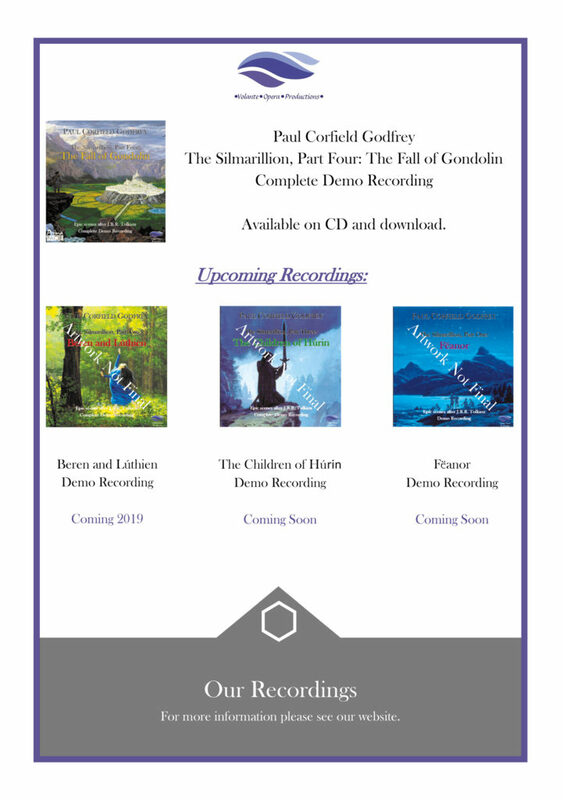 Chris Seeman said it best in his review of the ‘Akallabêth and other Tolkien works’ album: “We can only hope that more of Godfrey’s work will be recorded in the near future.” His wish, and the wish of many others, came true with the publication of this ‘Fall of Gondolin’ recording. Let us hope it is only the beginning.